I had not had an interest in science during high school and had started college as a dance major. In fact, I only took one science course in high school, Physiology. In college, I took a general physiology class and became so interested in the subject, I changed my major and graduated with a degree in kinesiology, which is similar to exercise physiology. The original goal was to become a Physical Therapist, but during my master’s degree, I was exposed to lab research and never left. When I started graduate school in 1991, I had been working on a very basic science-focused problem, namely to understand the role of calpains in skeletal muscle. During that time, I happened to attend a seminar on Duchenne muscular dystrophy and that lecture led me to think that calpains might be involved in the disease process. In this case, the idea was that calpains 1 and 2 (which are proteases -proteins that eat other proteins) were too active and were chewing away the muscle. Later on, when the calpain 3 mutation was identified as the underlying cause of LGMD2A, it was intriguing to us because in this case, there is a reduction in the activity of a particular form of calpain (calpain 3) as opposed to overactivity. I began working on this form of calpain when it was first discovered as the cause of LGMD2A in 1994. We are trying to understand the normal biological function of calpain 3 and how mutations in the calpain 3 gene lead to LGMD2A. This is a big question in the field. While we have gained some understanding of the different downstream disease processes, we still don’t understand the specific biological function of calpain 3 and therefore, can’t completely understand why mutations cause disease. Currently, we are focusing on two therapeutic approaches. We identified a drug that shows positive results in the mouse model of LGMD2A and we are developing LGMD2A gene therapies. We also tested myostatin blockers in the mouse model as part of our funding from Coalition to Cure Calpain 3 (C3). We have undertaken both avenues of study: examination of the basic science underlying the disease and other types of studies that might be able to translate into treatments sooner. Much of what we have done has been focused on basic processes since I believe strongly that we will be able to design better therapies if we understand why the disease occurs in the first place. To make an analogy, imagine you have a leak in your roof. You can try to use a tarp to cover the leak or use buckets to protect the floor, but ultimately, if you can fix the leak, then you will have less damage to the house. I would like them to understand that research is slow and painstaking, but that with an investment of funds to support the research, we will find treatments. I would also like the patients to know that we have an amazing and hard-working team of scientists, (especially Drs. Irina Kramerova, Natalia Ermolova, Chino Kumagai-Cresse, and Jian Liu), who work very hard in an effort to find a treatment for LGMD2A. I would also like them to appreciate the importance of organizations like C3, since LGMDs are rare diseases and the best way for small foundations to support progress in the field is to fund research. C3, Jordan Boslego, Michele Wrubel and Dr. Jenn Levy are doing a great job of supporting the community, including the registry, which will be critical when we are ready to start clinical trials. 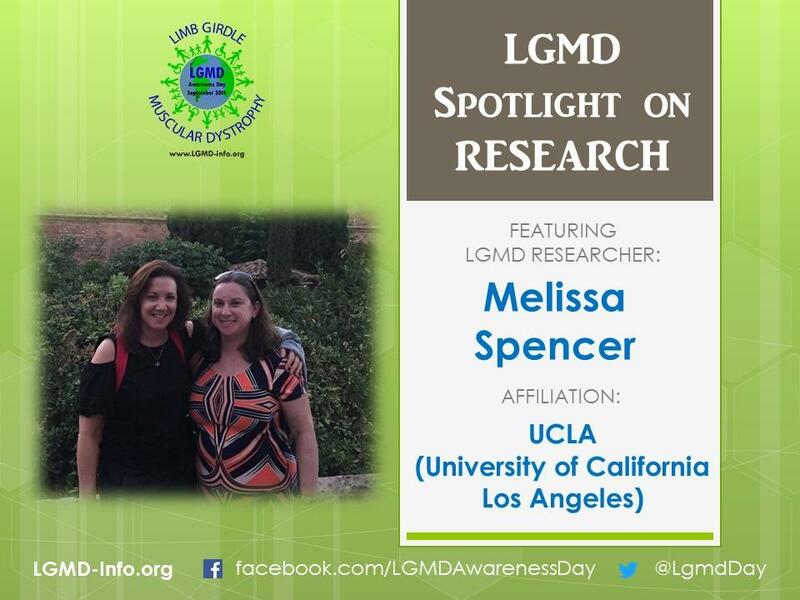 Sign up for the appropriate patient registry (a list of LGMD registries can be found here: https://lgmd-info.org/international-lgmd-patient-registries/) and participate in research projects when they become available. Research projects, when recruiting, will be announced via patient registries and on www.clinicaltrials.gov.